Next year J Crew (one of my favourite stores...love Jenna Lyons) is opening in Paris for Spring 2015. To celebrate this J Crew held a little party to preview the collection...well I love the look of the collection but what about this location! 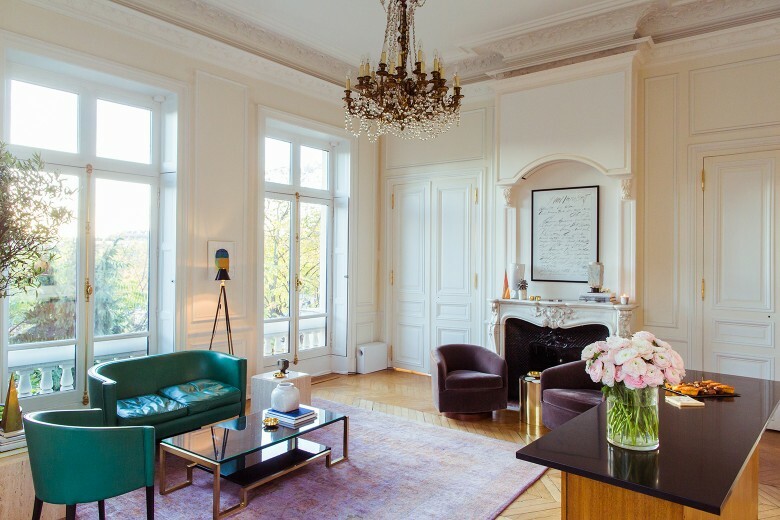 Sigh...yes another beautiful apartment in Paris with fabulous chandeliers and amazing marble fireplaces. 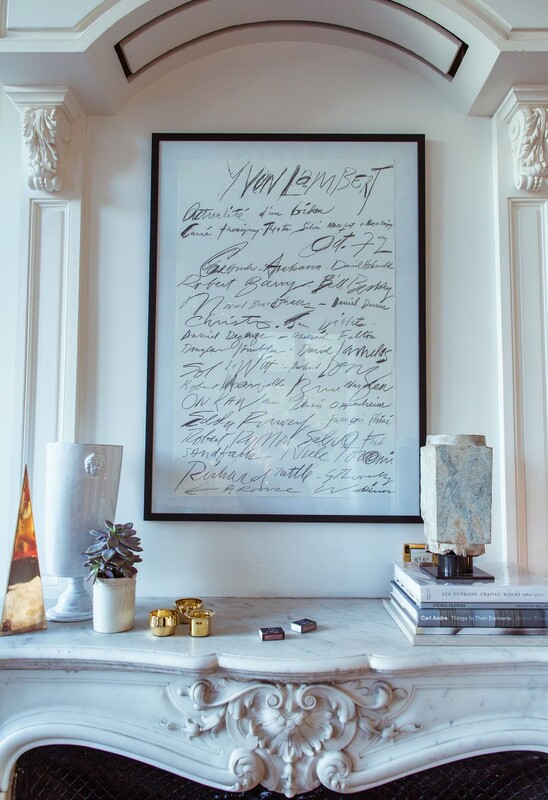 The styling on that fireplace is nothing short of perfection! Stunning! 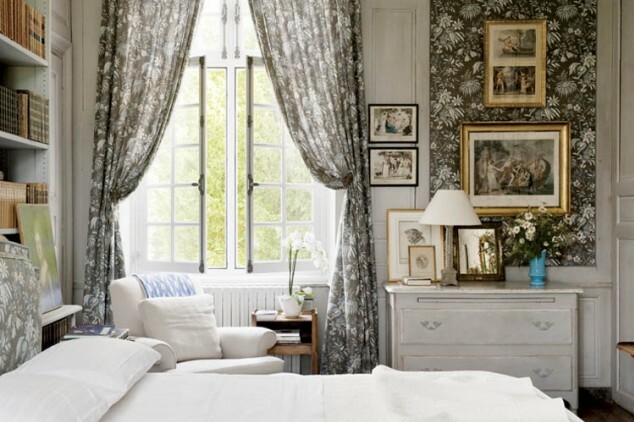 This lovely home has a light and easy French inspired look that feels modern and new. The black accents in this home are so striking and the pretty chandeliers in dark tones are the perfect pairing to this. Contrasting the pale floors with the white walls creates the right balance and the added touch of pale pink makes a nice feminine touch. Nicely done! Such an incredible home from The Lettered Cottage I just had to share. The store and house (Check out the on-line store Atchison Home) are situated in one building and I am sure the furniture moves from one to the other rather often. All decorated in white rustic French style, it is really so amazing! Wonderful painted furniture, some left in the original wood color which makes a great contrast. Great tiled floors that provide a nice dark base for all the white and really anchors the entire space. My favourite spot though is the garden room with the metal sink. Love it! A refurbished loft space in Paris is the setting for these fun ideas and interesting vintage and antique finds. Exposed surfaces include brick and stone left with a rough edge giving it a kind of industrial feeling. Love the butterfly wallpaper and the vintage cars in the kids room. So inventive the way they are featured on the wall....I love creative ways of showing things to make them stand out! Originally we were going to go away for Christmas with my family out in British Columbia this year but as it turns out we have decided to go after the holiday instead so.....that means I need to think about how to do my decorating and my Christmas tree! I do the same type of tree year after year......yes I love it but I need some fresh ideas. I have been looking for inspiration and one thing I am sure of is that I am going to go for a smaller tree and use my olive pot as a holder. I feel like having a more rustic look this year and I think the pot would look great with a tree as you see in the inspiration photos. I also love the fact that they are so simply decorated. I always have the feeling to put more decorations not less, but these trees are so gorgeous I think I will try to go for a much simpler look. I will show when I am done!! Oh yes I do love this look...feels just like Southern France with a view that is pure Italy. The lamps, the bed and oh that kitchen. Looks like a Le Cornue stove to me! Wonderful tile throughout the home that adds just the right amount of rustic, don't you think. This lovely home is the work of photographer Enrique Menossi. I just love his work. Go and take a look at his website to see his amazing interiors or check out another home here on this post..
Hello weekend! 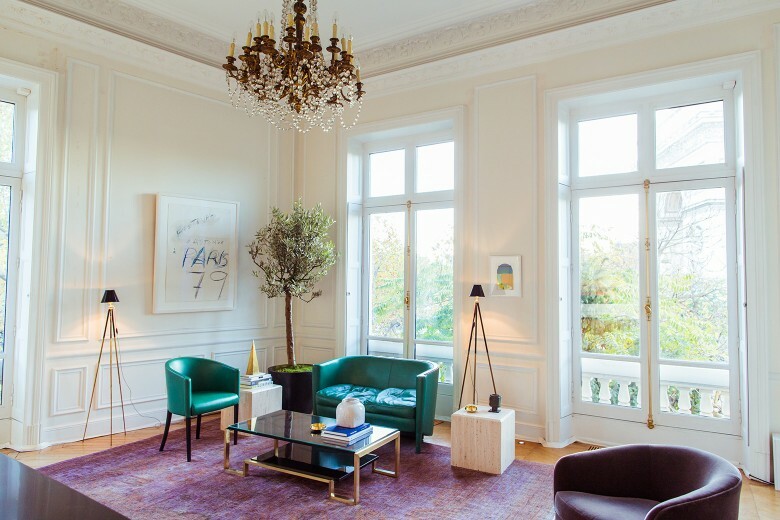 Well this post is a nice way to end the week...a little Paris apartment from Veranda magazine for you. So pretty with all of the blue jars in every room. I have blue and white vases and jars in my living room and I really love this look. 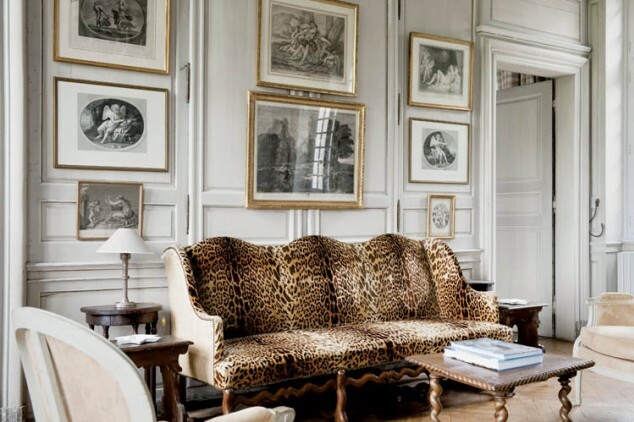 Such a beautiful mix of antiques in this home and of course with the amazing floors and walls...superb.